RUSKIN, Fla. (Jan. 16, 2015) — Recent job growth in Ruskin and nearby Riverview – primarily attributed to Amazon and St. Joseph Hospital-South – has spurred a need for additional housing in the area, and as a result, is prompting land purchases for residential development. 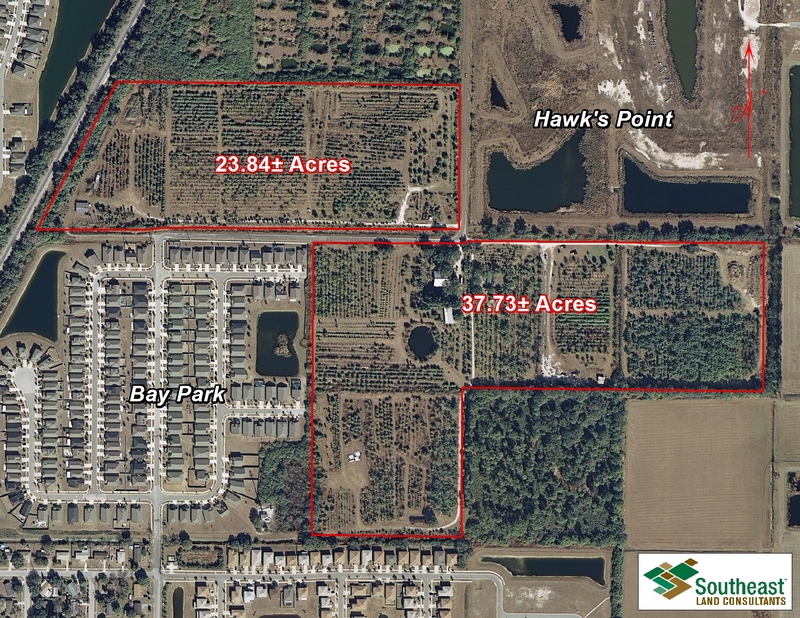 As a prime example, developer Wyn Investors, LLC and Wyn Group, LLC, recently purchased 60.6 acres in Ruskin for $3 million. The parcel, located 1.25 miles east of U.S. Highway 41, ½ mile south of on 19th Avenue NE, on 15th Street NE is zoned for development of 309 single-family units. Bill Short, CCIM, of Southeast Land Consultants, Inc. (SLC) represented the seller, B&P Tree Farm, LLC, in the transaction. The seller, a private individual, had purchased the property in 2011 as an investment opportunity. “The buyer sees the Ruskin area as a growing opportunity for workforce housing, considering the recent employment growth in the area,” said Short. Amazon opened a 1-million-square-foot fulfillment center in Ruskin in September. The online retailer is expected to hire more than 1,000 people for this location, a number that could double with seasonal and temporary workers once the center is fully operational. In addition, about 500 new permanent jobs are expected when BayCare Health System opens St. Joseph Hospital-South, a full-service hospital, in nearby Riverview in February. “The Amazon distribution center and St. Joseph’s Hospital has spurred economic development and growth in this area, and solidified in buyers’ minds that it’s a good idea to buy land for residential development here,” said Short. Short notes that residential developers are more active in Tampa Bay’s land market now than they have been in years, as homebuilders shift their focus to purchasing developed lots rather than developing their own communities and assuming the development risks. This allows many homebuilders to maintain a healthier balance sheet and focus on their core business of building quality homes, according to Short. Wyn Investors, LLC and Wyn Group, LLC, is currently developing another residential project in the Ruskin area.